President Mahmoud Abbas‘s spokesperson has said that recent US aid cuts to the West Bank and Gaza are designed to end his country’s claims to the disputed city of Jerusalem. 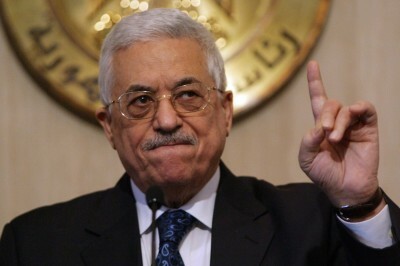 Abbas’s spokesperson, Nabil Abu Rdeneh, told AP that the financial pressure is politically motivated, and that the US is fully aware that there can be no peace, if east Jerusalem does not become the capital of a future Palestinian state. The US sparked outrage in the occupied Palestinian territories, when it broke with international diplomatic norms and moved its embassy to Jerusalem, thus backing Israel’s illegal claims to the disputed city as its capital. The US sent a brief three paragraph notice first to lawmakers and then the media about its intentions to cut $200 million in desperately needed funding to the West Bank and Gaza. It has been suggested the aid cuts were due to Hamas’ running of Gaza and payments by Ramallah to the Palestinian family members of those killed, injured or detained by Israel. President Donald Trump‘s administration has claimed these payments “encourage terrorism” and demanded Abbas cancel the stipends, something the Palestinian president has refused to do. It comes as the US government prepares to roll out a peace plan, which recent actions suggest will be heavily favourable to Israel. Some is the US administration have said Trump’s recent aid cuts will be counter-productive. “The US is ceding space to Hamas in Gaza,” tweeted Dave Harden, until recently the USAID director in the Palestinian territories. “Well, very clearly the US cutting of aid to Palestine is a form of cheap blackmail and it shows a certain degree of moral and political bankruptcy,” he said.